The Keswick Business Park Secondary Plan will function in northern York Region as a key regional employment centre, and will also provide an opportunity to further the contribution of businesses to the economic well-being of the Town of Georgina. Any proposed change in land use other than employment uses is discouraged and will require a comprehensive regional analysis. It is anticipated that the Keswick Business Park will accommodate between 7,500 and 9,000 jobs within the 20 year time horizon of this Plan (2006-2026). It is the intent of this Secondary Plan to provide for the development of this Business Park in an aesthetically pleasing and environmentally sensitive manner. 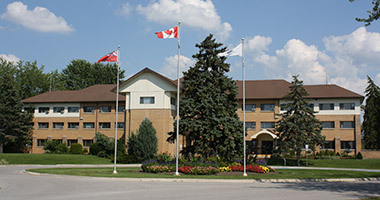 The Keswick Business Park Secondary Plan is located just north of Ravenshoe Road and on the East side of Woodbine Avenue, in Keswick. As Approved by the Ontario Municipal Board on July 15, 2008.